What is Stephan Hawking’s Breakthrough Initiatives? 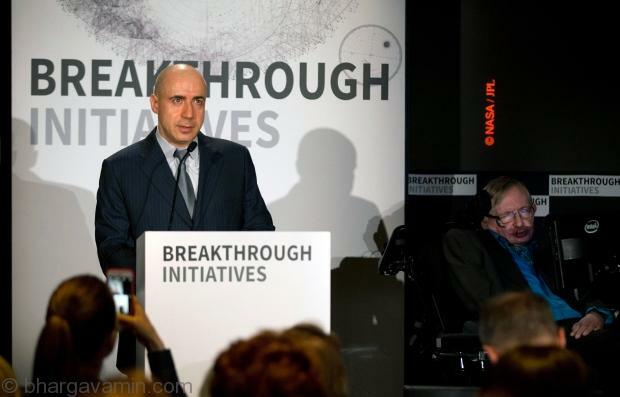 Breakthrough Initiatives is a program founded in 2015 and funded by Yuri Milner to search for extraterrestrial intelligence over a span of at least 10 years. The program is divided into multiple projects. Breakthrough Listen will comprise an effort to search over 1,000,000 stars for artificial radio or laser signals. A parallel project called Breakthrough Message is an effort to create a message “representative of humanity and planet Earth”. The project Breakthrough Starshot aims to send a swarm of probes to the nearest star at about 20% the speed of light. In the last decade and a half, rapid technological advances have opened up the possibility of light-powered space travel at a significant fraction of light speed. This involves a ground-based light beamer pushing ultra-light nanocrafts – miniature space probes attached to lightsails – to speeds of up to 100 million miles an hour. Such a system would allow a flyby mission to reach Alpha Centauri in just over 20 years from launch, and beam home images of possible planets, as well as other scientific data such as analysis of magnetic fields. Billionaire internet investor Yuri Milner announced another $128 million ($100 million US) initiative to better understand the cosmos, this time by deploying thousands of tiny spacecraft to travel to our nearest neighboring star system and send back pictures. If successful, scientists could determine if Alpha Centauri, a star system about 40 trillion kilometres (25 trillion miles) away, contains an Earth-like planet capable of sustaining life. A number of hard engineering challenges remain to be solved before these missions can become a reality. They are listed here, for consideration by experts and public alike, as part of the initiative’s commitment to full transparency and open access. The initiative will also establish a research grant program, and will make available other funding to support relevant scientific and engineering research and development. It might look like something which will take alot of time, but if it succeeds it will answer the most popular question that do aliens exist? how far? where? and alot more of it. I’ll keep up with the developments of this initiative time to time till then stay tuned.